The weekend is almost upon us, thank goodness! It's been a busy week & I've been very tired! 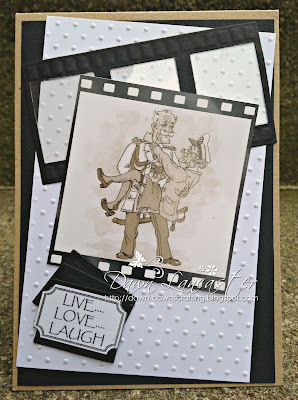 I have yet another Anniversary card to share with you today! This one is for my brother & sister in law. Wrinklies At The Movies, decoupage sheets. it was a tune by Dr Hook, back in the day, More Like The Movies. I wanted to keep the card flat so I could easily pop it in the post. then a panel of white embossed CS which was offset the other way. transparency fim to the cut out sections. cut out sections of the fim strip die & added it to the top. little black die cut hearts to decorate. I hope you like my card, more to the point I hope the anniversary couple do! This is fabulous, love the monochrome and film theme too. 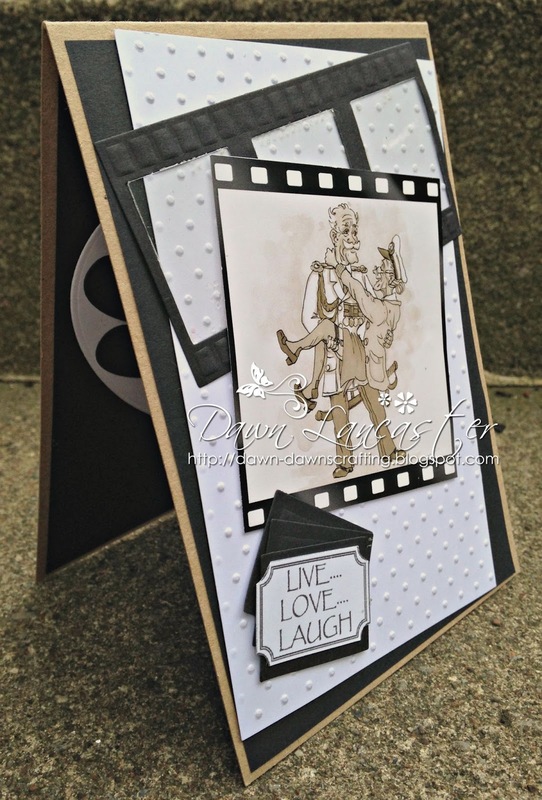 A brilliant card Dawn, such a fabulous black and white design. Great card Dawn. What a fab image and love the film strip effect. I love, love the image, such fun! Great idea to add the film strip in the background! Great card as always! 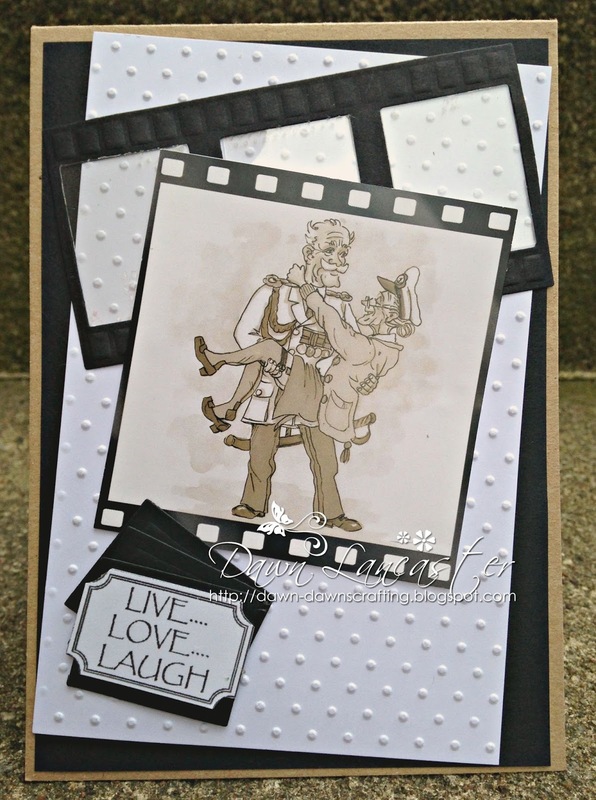 Great card and fabulous image I love the sepia tones. Thanks for joining us at Crafty Cardmakers and More for our No Patterned Papers Challenge. I love, love, LOVE that fun and funny image, Dawn! How perfect for an anniversary couple who has spent all their years together. :-D Terrific design, including the inside. Fabulous card and theme, love the colours. This card is just awesome, really brilliant Dawn! Fabulous image. Love the sepia look against the mono background, it really puts you in mind of an old film.